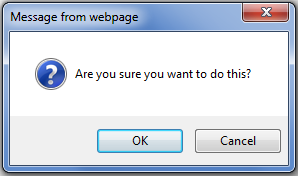 The confirm dialog box is used to confirm a user's answer to a question. 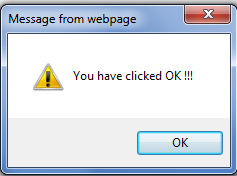 A question mark will appear in the box with an OK button and a Cancel button. 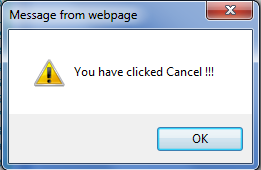 If the user presses the OK button, true is returned; if he presses the Cancel button, false is returned.